Good morning everyone! Hope you had a wonderful Mother's Day. I ordered flowers for my Mother last week from Teleflora for a Saturday delivery, and no flowers. Called Teleflora on Sunday, was on hold for 45 minutes only to find out that the florist was overbooked and could not deliver the flowers, not on Saturday and not on Sunday. So, no flowers for my Mom.....and I will NEVER order from Teleflora again! Other then that my Mother's Day was pretty good, hubby cooked a great dinner, kids and hubby gave me a beautiful yellow rose bush, and I was able to spend the day crafting (is there anything better?). I had problems with blogger last week, so hopefully today will be better, tried to get back on blogger last Monday night and my post would not "save" and it would not "post." Seems to be working now, but we shall see. So, the winner of the blog candy from last week is...........drumroll............Lauretta See! Lauretta please send me an email (Jacquie at afterhoursstamper dot com) with your address so I can get your goodies in the mail, congratulations! 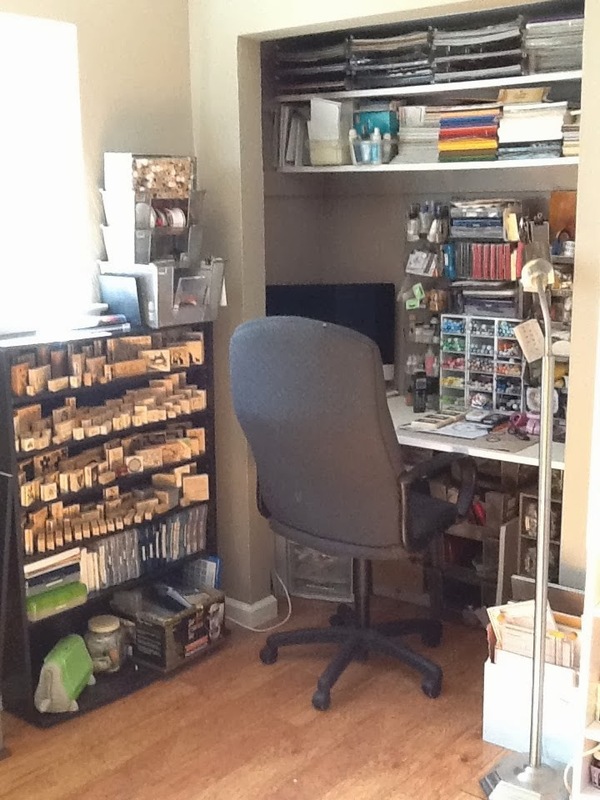 Cool storage: My husband actually has this unit in the garage, and I may need to go get another one to use in my craft area. I really liked how sturdy these are, as well as how much storage you can get from them. Scallped Edge Box: Love this box! Easy and so cute! Free stuff: A whole page of neat free things, templates, product inventory lists and more. New Fiskars Paper Trimmer: This is a review from Craft Critique (great site), here is the Fiskars link and here is a link to purchase the trimmer. I use the Martha Stewart Trimmer, but may need to check this one out! Especially if they have solved the problem of the guide lines wearing off. Dressing up plain round tags: This link has some cute ideas on how to dress up the inexpensive round office tags you can buy at most office supply stores. That is it for today (and it looks like Blogger behaved as well!). Have a great week, hope you find lots and lots of time to craft.